Even if you're a regular visitor to Botley Hill Farmhouse, you may not have realised that the Titsey Estate where we are based is one of the largest surviving historic estates in Surrey. Found just off the North Downs Way and in the Surrey Hills Area of Outstanding Natural Beauty, Titsey's impressive manor house and beautiful gardens are one of our county's true hidden gems. 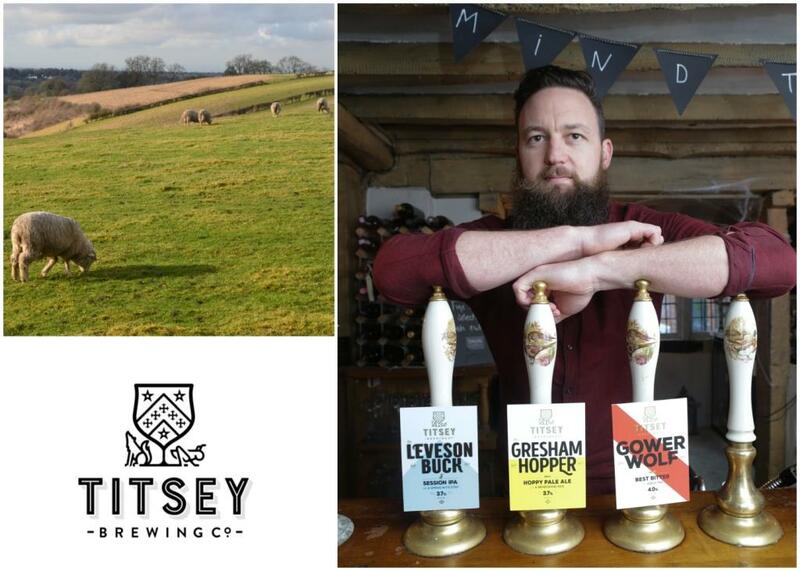 As well as a fascinating history, the estate also happens to be home to Titsey Brewing Co, whose beers you'll find on the taps at Botley Hill. 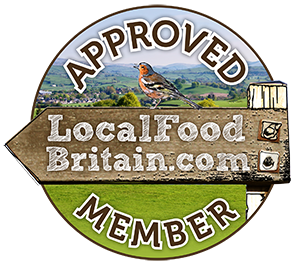 We're sure by now you're likely to have sampled one of the microbrewery's first three tipples: Gower Wolf, Leveson Buck and Gresham Hopper. Perhaps, while supping your pint, you've wondered about the inspiration behind the names? Well let's take you on a whistle-stop journey back in time to 1534, as that's when the manor of Titsey was acquired by a certain John Gresham. Already a member of one of the most prominent merchant dynasties in Tudor England, Gresham was later named Lord Mayor of London. It wasn't just Titsey he purchased either. He also added the manors of Tatsfield, Westerham, Lingfield and Sanderstead to his portfolio. John Gresham was clearly a man who didn't do things by halves. Without going into the finer details, the family supported the King in the Civil War and then had their house briefly commandeered by Parliamentarians. During the Restoration in 1660, Charles II made the fabulously named Marmaduke Gresham a baronet, as a reward for the family's support of the royalist cause. Life continued, as it tends to, with an ongoing rollercoaster of events and generations until Katherine Maria, the last of the Greshams, inherited the estate. In 1804, she married William Leveson-Gower. Another Tardis-like leap takes us on to the studious Granville Leveson-Gower, whose interest in genealogy led to Titsey Place being decorated with the heraldry of the Gresham, Leveson and Gower families. Such was his commitment to recording family history, that over a 12 year period he compiled the Genealogy of the Family of Gresham, which was privately printed in 1883 (he even gave a copy to Queen Victoria as a present on her Jubilee in 1887, we're told). Brothers Thomas and Richard were the last of the Leveson-Gowers and, having no children, they appointed David Innes as their heir and established the Titsey Foundation in 1979. The charitable trust still looks after the house and garden and opens them to the public on various dates through the year. The influence of the Leveson-Gowers and Greshams is still obvious today. In fact, the Titsey Crest features the Leveson-Gower Wolf and the Gresham Grasshopper, with their combined Coat of Arms in the middle. You might recognise nods to them on our beer pumps. We're only skimming the frothy foam off the surface of Titsey's history here, of course, but these powerful and intriguing characters have helped to shape the future of Titsey Brewing Co.
Based in the Surrey Hills Area of Outstanding Natural Beauty, which celebrates its 60th anniversary this year, and just off the North Downs Way, which is celebrating its 40th, 2018 promises to be an exciting new chapter for the Titsey adventure and this Surrey microbrewery. With grateful thanks to www.titsey.org for their fascinating account of the Titsey Estate's history. Titsey Place and Gardens are open from May 16 to September 26 in 2018. If you would like to contact Titsey Brewing Co, call chief brewer Craig Vroom on 07850 914189 or e-mail craig@titseybrewingco.com. You can find Titsey Brewing Co's latest updates on their Facebook page at facebook.com/titseybrewingco.